“Sledding” a watercolor painting depicting a tradional New England winter scene. Painting of the week- "View to the Bay"
“View to the Bay” a recent piece of commissioned watercolor artwork by Melissa Hyatt. I love to paint landscapes in watercolor. The fluidity of the medium works so well in shaping clouds and water. Painting introduction of the week- "View from Goldsmith's"
I wanted to feature one of my paintings each week and tell you about my inspiration and process. The first watercolor painting I'd like to share is a landscape called "View from Goldsmith's" This piece was done En Plein Air which means painting in the open air. It's not easy to paint watercolor out in the elements as I learned in doing this one, my first piece created in this manner. 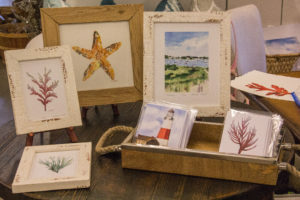 The beaches here on Eastern Long Island provide this watercolor artist so much inspiration. So to be sitting on the beach painting was truly amazing. 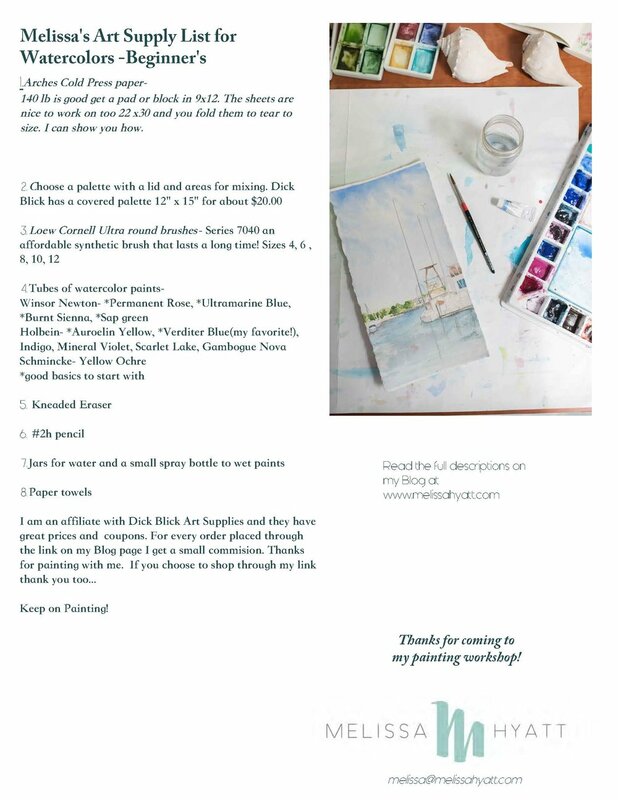 I signed up for a Plein Air painting class with the Southold Recreation Department for 4 sessions painting in various locations in town. This was our first spot, Goldsmith's Beach in Peconic. I decided to face east and paint the point of land that Horton Point Lighthouse is located on. This also included my neighborhood beach in the distance Kenney's Road Beach. When you paint outdoors it's all about chasing the light. You need to sketch and move quickly as the sun is moving, the wind is blowing, drying your paint and the clouds are constantly changing as well. While I was painting this piece a little sunfish sailed into view so I included it in the composition. 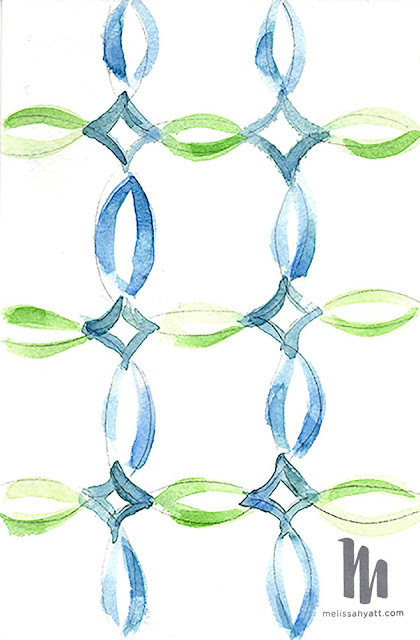 This painting also holds a special place in my heart as it was the first original watercolor I ever sold. I vividly remember the day the shop owner contacted me, and half of my heart was heavy I thought OH no what have I done! I will never see it again but the other half of my heart was happy that someone will enjoy my piece for years to come. Each painting is a piece of me, like a child and part of my soul. I love to paint and share my art with the world. Find out about some of my techniques and tips for watercolor painting my landscapes. 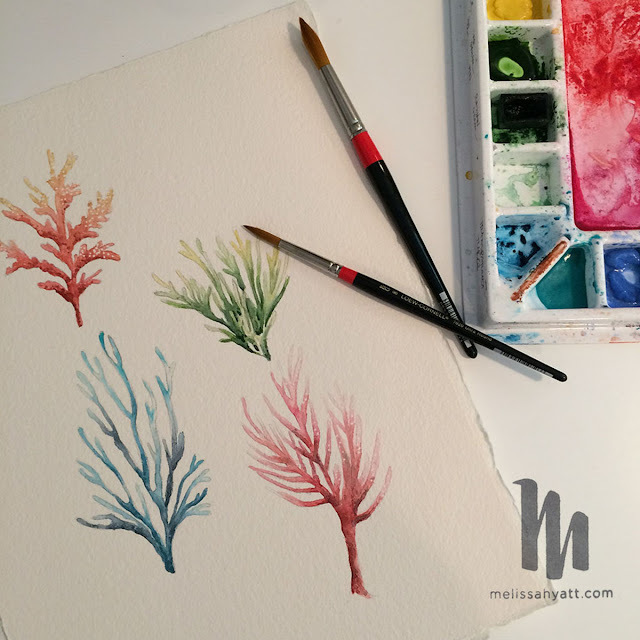 Watercolor workshop exploring water and symbolism of Noah and the Ark. Mixing paint in my studio using my Cheap Joe's piggyback palette and favorite watercolor brushes. I have been so fortunate to have been given the opportunity to show my work at various Pottery Barn locations on Long Island in 2016. My first show was in May just before Mother's Day weekend. The manager at Pottery Barn Outlet contacted me to see if I would consider doing a "Meet the Artist" in their store on a Saturday afternoon. I was the first artist and local business owner that they contacted, I was honored.I jumped at the opportunity. I decided I would bring my paints and work on a piece of art in the store. Everyone loved the idea! I got emails and instagram messages inquiring about products and my artwork before the day even started. It was an overwhelming success and they asked me to come back again anytime. I have since done 4 events including one at the Southampton NY store, West Elm at Walt Whitman and 2 at Pottery Barn Outlet in Riverhead. Thanks to my friend and photographer Tracy for attending my December event and taking the lovely photographs incuded in this blog. Thank you Pottery Barn for allowing me to share my art and love of watercolors with the community. Follow me and pottery barn to see upcoming events and products. Just posted today a Sketchbook Conversation with Anne Butera on her website My Giant Strawberry. Take a look and let me know what you think in the comments below...thanks for reading!! 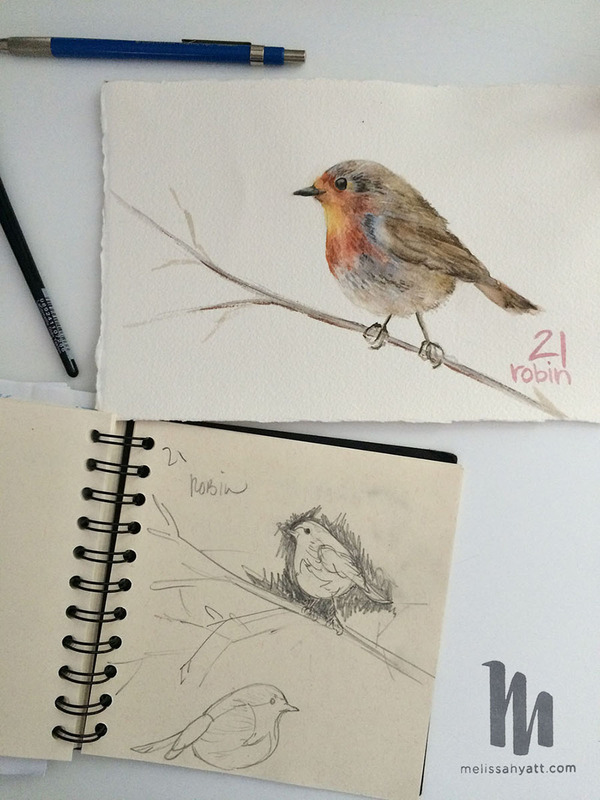 I use a sketchbook to capture my ideas, work out compositions and to just play. I am a watercolor artist and surface pattern designer. 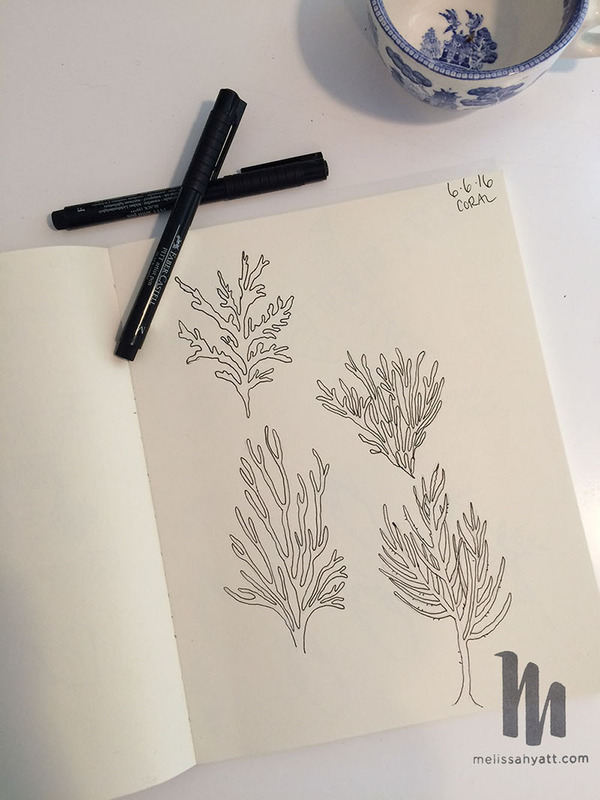 Many times my simple black line drawings become new designs as in my sea coral and fishy sketches. I love to draw with a Faber Castell Pitt pen for my design work but I also love to sketch in pencil as well. 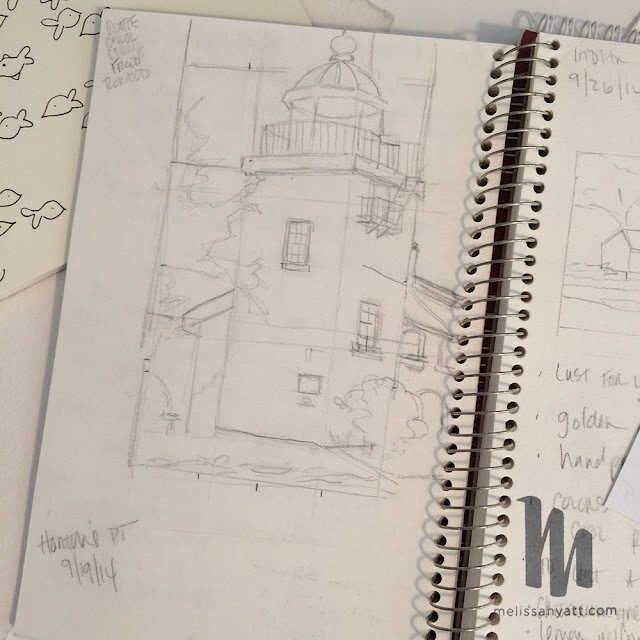 In preparing for this blog post I rediscovered several sketches in my sketchbooks that I want to go back and paint, it was like finding buried treasure! 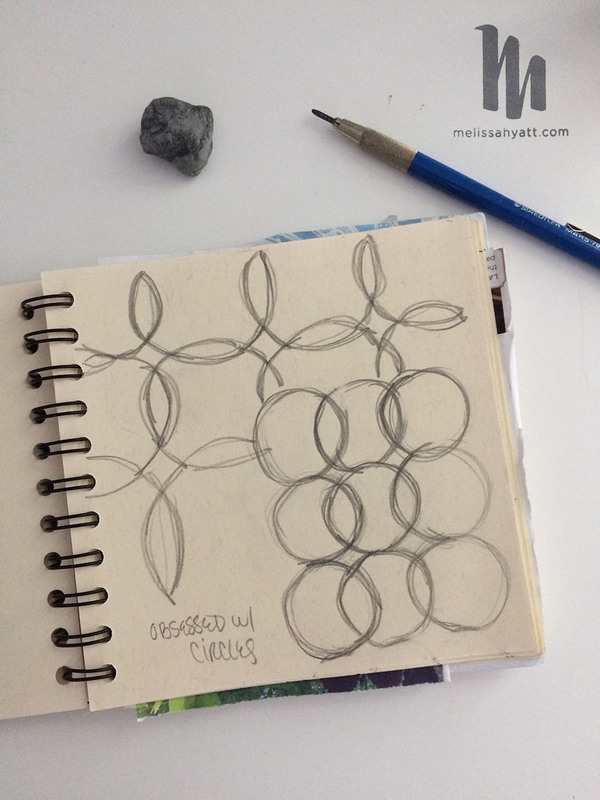 Using a Sketchbook helps me to feel organized as I know where to find my ideas, sketches, notes and color studies too. I also think it helps me to develop my drawing skills, I love to do daily drawing challenges on Instagram, last December I participated in a Advent Calendar drawing challenge. I kept all my sketches and ideas in the same book so i knew where to find them. I hadn’t painted any Christmas designs in at least 10 years so it was a great way for me to work on new imagery. The Robin sketch and painting was one of the pieces that I did for that challenge. 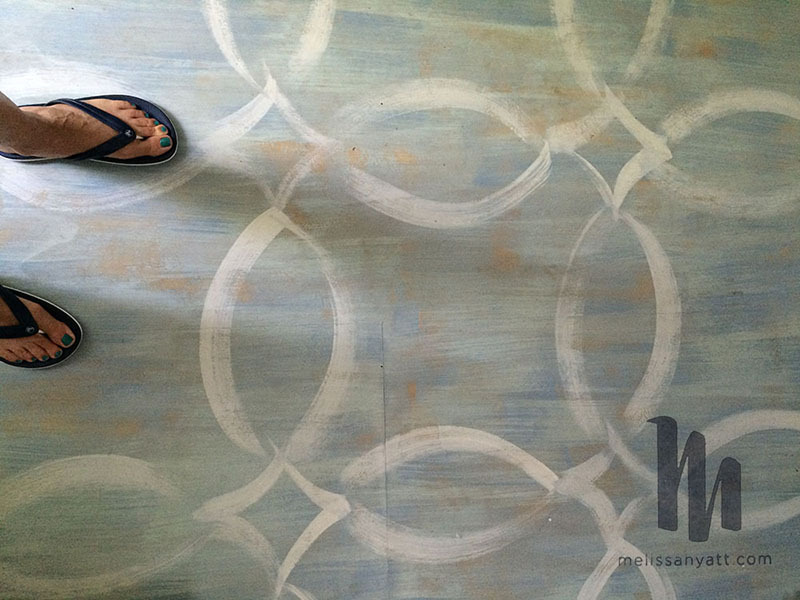 which was the inspiration for the design that I hand painted on my studio floor last spring. 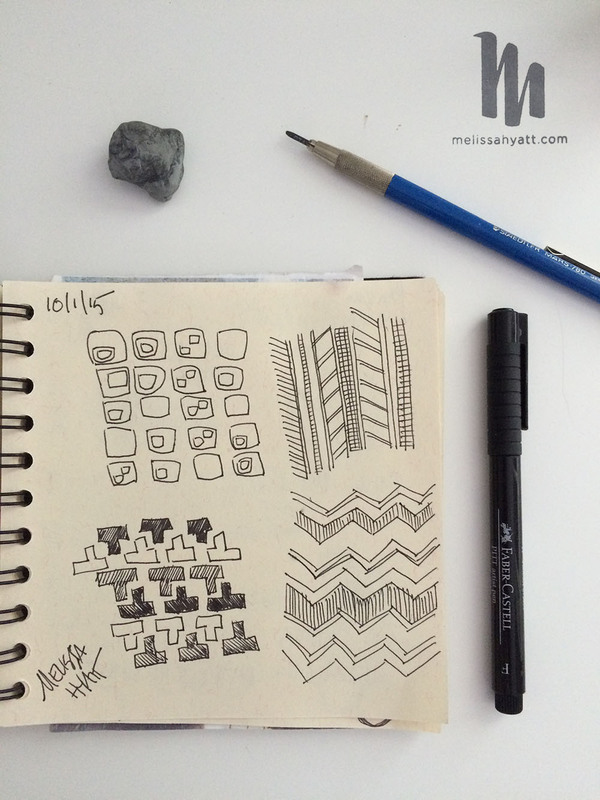 Thank you, Melissa, for sharing your story and your sketchbooks with us! 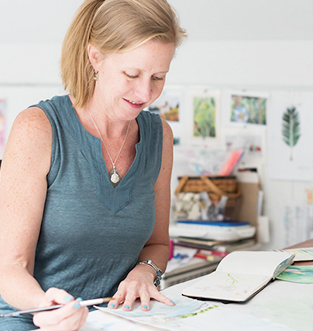 And catch up with the other Sketchbook Conversations and find more inspiration here.